In addition to working with standard files and folders, end users can work together in shared spaces called Team Shares. Using Team Shares, groups of users—called subscribers—can collaborate on shared content in one central area. Team Shares can only be configured for administrators and standard user accounts; guest accounts cannot be added to Team Shares. End users can create their own Team Shares, or administrators can create Team Shares for end users. For example, you might create separate Team Shares for each department, or for project teams. By default, the Auto Locking for Word and Excel Files policy is enabled for each newly created Team Share, which ensures that Word and Excel files automatically lock each time they are opened. For more information, please reference the How Do I Manage File and Folder Locking Knowledge Base article. To learn how end users use Team Shares and send share links, please reference the Creating and Managing Team Shares and Share Links Knowledge Base article. When used correctly, Team Shares prevent unnecessary data sprawl across groups and organizations, ensuring that shared content is never duplicated and a file's most up-to-date version is readily available. For example, if a group of users consistently share data and collaborate on files, you might consider setting up a Team Share to allow these users to work from one centralized location. 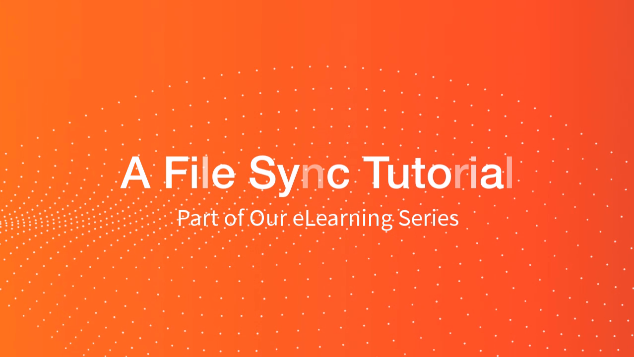 Without a Team Share, users might decide to work in isolation and share files through email attachments or other cumbersome methods, needlessly generating multiple versions of the same file. As an added benefit, Team Shares help an organization manage its set space quota, as Team Share roots only count towards an organization's shared space quota, and never counts towards an individual's space quota. This means that if ten subscribers collaborate within a Team Share, this shared content only counts towards the organization's space quota one time, rather than ten times. Using Team Shares can significantly reduce strain on an organization's space quota, saving an organization the costs associated with data usage, and improving effective collaboration. To support the collaboration process, subscribers can be assigned to roles that control their access rights within the Team Share. Roles can be assigned at the Group level, or to individual user accounts. For more information, please reference the Anchor Team Share Permission Roles Knowledgebase article. Before you create Team Shares, it is a best practice to carefully consider how content should be organized and accessed within the system. On one hand, you should consider how groups of users work and collaborate within an organization (through departments, project teams, and so forth). On the other hand, you should also consider the type of content contained in Team Shares. Content that is contained in Team Shares will sync (and therefore, download) to each subscriber’s connected device. If Team Share content does not need to be accessed from each device (for example, view-only video files), you can use subscription rules to help reduce storage and bandwidth requirements. Web and Mobile—this setting allows Team Share subscribers to access Team Share content from only the web portal and any registered mobile device. WebDAV—this setting allows Team Share subscribers to access Team Share content from the WebDAV interface (a mapped drive connection). Future Machines—this setting allows Team Share subscribers to access Team Share content from all future devices, including the desktop client. From the web portal, click the Shares tab. The Shares page displays, listing all existing Team Shares. In the Shares tab, click the New Team Share button. The Team Share Settings page displays. In the Team Share Name field, type a descriptive name for the Team Share so that it can be easily recognized by subscribers. By default, the Auto Lock Word/Excel Files checkbox is enabled, which ensures Microsoft Word and Excel files automatically lock and unlock when they are opened and closed. By default, the Allow Subscription Notices via Email checkbox is enabled, so that email notices are sent when new subscribers are added to the Team Share. You can optionally uncheck this checkbox. In the Description field, type a description of the Team Share. In the Subscribers box, select the users or Groups who will have access to the Team Share. End users who have been created for this organization will appear in the Subscribers box. Note: If this Team Share lives in a suborganization, and you would like to invite users from a parent organization, please note that these users will not be listed in the Subscribers box. Please reference the Adding Users from a Parent Organization section below for more information. Click the Web and Mobile checkbox to allow the user to access the Team Share from the web portal and any registered mobile device. Click the WebDAV checkbox to allow the user to access the Team Share from the WebDAV interface (a mapped drived connection). For more information on WebDAV, please reference the Mapping a Drive Using WebDAV Knowledge Base article. Click the Future Machines checkbox to allow the user access to the Team Share from all future devices. Note: This option affects whether or not a Team Share can be downloaded to a local machine. If the Future Machines setting is selected, and the user later registers a desktop client on his or her local machine, then the machine name will appear under this section with a checkmark after it is registered. In this instance, the Team Share will download and appear within the user's local Synced Folder after the registration process is complete. If the Future Machines setting is unchecked, and the user later registers a desktop client on his or her local machine, then the local machine name will still appear under this section after it is registered, but without a checkmark. In this instance, the Team Share will not download or appear within the user's local Synced Folder. Click the <Machine Name> checkbox to allow the user to access the Team Share from his or her desktop client (local machine). This option will only display after the user registers a desktop client on his or her local machine. Click the checkbox next to the user account name to allow the user to access the Team Share from the web portal, WebDAV, and any registered (or future) device. Note: When all access methods are manually checked, this checkbox will automatically appear as selected. If at least one of the access methods is not selected, the checkbox will appear as a green square. Click a + sign to expand the adjacent username; you will see a list of machines associated with the user account. Using the checkboxes, you can specify how the user account can (or cannot) access the Team Share. After each group and account has been selected, use the Permission column to assign a role at the Group or Account level. By default, each selected subscriber is assigned the Collaborator permission. Click the Collaborator button to edit the user's permission. If you are creating a Team Share in a suborganization, and you would like to invite users from the parent organization, please note that these higher-level subscribers will not be listed in the Subscribers field. Instead, you can add these users from within the parent-level organization. In the left-hand Organization navigation bar, select the parent organization. From within the parent organization, click the Shares tab. The Shares page displays, listing all existing Team Shares for the organization and all of its suborganizations. Click the Edit button adjacent to the Team Share you would like to update. The Team Share Settings page displays. In the Team Share Settings page, use the Subscribers box to add the appropriate user accounts. Optionally, you can invite users from outside organizations to collaborate in a Team Share. These users must have an existing account. This option is useful when end users in the same system, but in unrelated organizations, need to collaborate in the same Team Share. In the Team Share Settings page, scroll down to the Invite Subscribers section. In the Invite Subscribers box, enter a comma-delimited list of email addresses outside of the organization that should be subscribers to the Team Share. When you click the Save button to create the Team Share, the users who were added in the Invite Subscribers box will receive an email notification with a link to accept or decline the Team Share invitation. The invited subscribers will also see a notification in the Shares tab when they log into the web portal. When they click the Shares tab, they can review a list of outstanding Team Share invitations and accept or decline as appropriate. You can also manage existing Team Shares in the Team Shares page. You can search for an existing Team Share using the Search box. You can also edit an existing Team Share. Click the Edit Team Share button. In the Team Share Settings page, you can edit the name of the Team Share, change the organization under which the team share exists, turn on the Auto Lock Word/Excel Files feature, turn on the Allow Subscription Notices via Email feature, and edit the description. Using the Snapshot feature, you can quickly copy a Team Share as it existed at a specific point in time, including content that was previously deleted, recreated, or changed. This feature even recovers the revision history of restored content, starting from a selected date. For example, you might create a snapshot of a Team Share to recover Team Share content from ransomware. Additionally, you can use this feature to copy, re-organize, or back up Team Share content for data management purposes. For more information, please reference the Snapshot Feature Knowledgebase article. Depending on Team Share settings, end users can access Team Shares through the web portal and through their connected devices. Team Shares can be identified by the two figure silhouette graphic overlay.